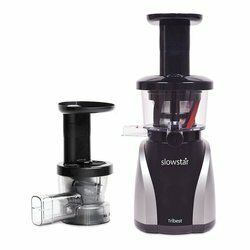 As versatile as it is portable, the Tribest Personal Blender delivers an impressive 200 watts of ice-crushing, smoothie-making power wherever you plug it in. 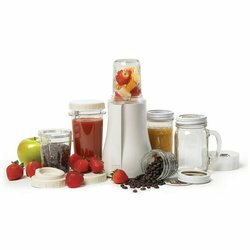 Tribest Personal Blender is compact and smartly designed with high impact polycarbonate plastic containers for blending, grinding or serving. The package conveniently includes one commuter lid to take your drinks with you on the go and one regular lid for easy storage. 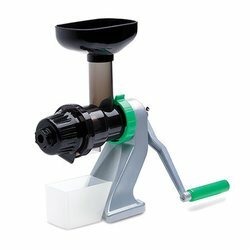 Capable of 2 function modes: One-touch pulse mode or press down for continuous blending/grinding operation. In less than a minute, you could enjoy any of your favorite, nutirtious and delicious recipes anywhere. Comes complete with an Operations Manual for easy use/easy clean and 40 easy to follow recipes for delicious soups, sauces, salsas, dips, porridges, pesto, pates, puddings and baby foods! 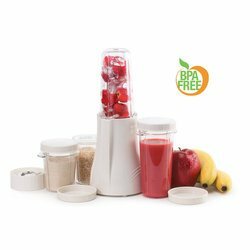 Tribest PB-150-A Personal Blender- Free Ground Shipping (Continental US Only) has been added successfully to your wishlist. 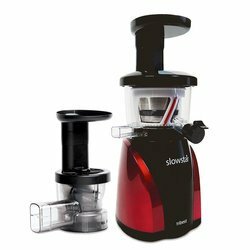 *Height includes the motor base and 16 ounce container.